I had ordered two glass whisk stands, but only one was available. Stefanie got back to me immediately and issued a refund for one of the stands. I received the other very quickly, and it was exactly what I needed. I wish all my online purchases could go this smoothly! Finally, I found it at the Tea Haus! I finally found at the Tea Haus the orange flavoured tea that I loved so much in Europe. They call it "Sweet orange". 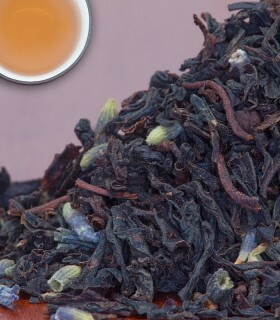 It is a delicious black Ceylan tea with orange blossoms and orange peel. I looked everywhere in Toronto for something like this and was unable to find any tea that was remotely similar. I now order it on line and it comes within 2 days with an additional sample of equally delicious and unique fruit flavoured black tea (sweet peach or grapefruit flavoured tea). I love them all. The package also comes with a nice hand written note from the store. Thanks Tea Haus. We found The Tea Haus online and have become devoted and very happy customers from Calgary, Alberta. Delivery takes two days from ordering to door delivery. The tea is delectable, fresh and flavourful, a delightful, inexpensive treat that we enjoy every day. A colleague placed an order early this week and suggested to the rest of our team that we take advantage of the office delivery on Wednesday. I had forgotten about it and ended up placing the order early Wednesday morning, and was hapilly surprised to see that the order was fulfilled on-time to be delivered to our Office. The thing that amazed me was that the colleague who suggested we place the order didn't make it into the office because of the poor weather - so after they delivered the rest of the team's teas to the office, they delivered her order right to her home that same day! The Ginger Lemon Rooibos, Yerba Mate Mango, and complimentary samples of Chinese New Year and honeybush have an amazing aroma and rich taste. 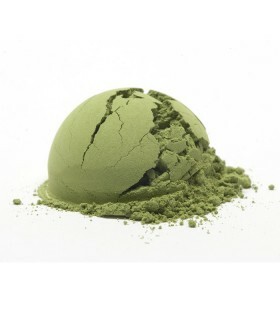 The Imperial Matcha was bold but didn't have the bitter aftertaste that is common with lower-quality/cooking-grade matcha. The quality of these teas can't be matched at this price! My first experience with Tea Haus has been a great one, and will ensure that I will be back again and again! I order tea to Ottawa. The delivery is so fast, free and always includes a sample and handwritten note. I love the personal touches every time! The best tea and awesome customer service. I discovered The Tea Haus when I lived in London for grad school. I still visit when I go back to London, but otherwise I just order online. I love how fast their delivery is! I am never too long without their tea. And their prices are excellent. Basically, I love their variety, prices, promptness, and how great their customer service is when I actually make it to a store. I absolutely love the Kyoto Rose, a green tea. I used to live in London where there was a tea haus and fell in love with this tea. Now that I've moved I always order more when I'm running low. The tea arrives quickly, I've never had any issues, and it always comes with good samples and a nice card. Amazing. I live in Nova Scotia but Stefanie helped me set up a surprise tea tab at the market for my dad who visits whenever he can for a cuppa for one. He was thrilled and Stefanie even threw in his first cup free. Incredible service and a wonderful product brings my family back whenever we visit Ontario. Love The Tea Haus-thank you! I had the pleasure of visiting your store almost 3 years ago now, and I have since ordered online twice. Ordering online has been fantastic, and the product quality gets top marks. I have not been able to find anything of equal quality near where I live in BC, so ordering online it is! The order came very quickly...thank you! We will definitely be visiting next time we are in London. This was my second order from The Tea Haus and both times I've been impressed with the speed of order processing, despatch and quality of packaging. The little free samples are a nice touch too. The product quality is also exceptional. I've been ordering from the Tea Haus for years (I live in southern Ontario), and have recommended it to many tea-loving friends. The selection is great, with lots of interesting seasonal additions (great ice tea options in summer! ), and it always arrives incredibly swiftly. I have also ordered several Dunoon cups and plates. Try it! Have been purchase tea at the teahaus for a few years. Always excellent quality products and great selection. 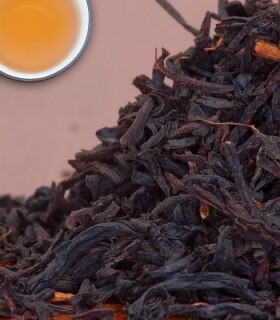 The only thing better than buying tea from the teahaus on-line is to buy in person at the store and enjoy a cup of tea. I recently ordered some Dunoon mugs online.I was most impressed by the selection and incredibible service.Iordered one for myself and one as an xmas gift for my children's father. Not sure how long it would take with the postal strikes , I was pleasently surprised to have it in under a week. With a sample of a beautiful tea and a hand written note from a member of the store with apologies for any delays due to the striking, that is not under their control.I am most impressed by this lovely store and will definetly order again and hopefully shop in person. Recommended by work colleague and ordered online. Impressed by tea so ordered again and was again very pleased. I've been ordering from the Tea Haus since a trip to London in 2007 when I had a chance to sample their tea at their market location. 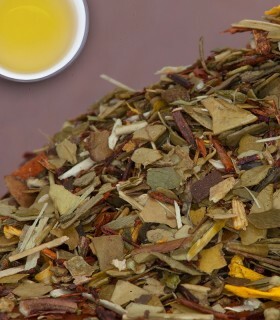 The Wellness Blend is my absolute favorite herbal tea. Over the years I've had the Tea Haus ship to different addresses in the US and Canada, and their service is always outstanding. Looking forward to another eleven years drinking your tea! Thanks! I have ordered many teas , tea balls, herbal teas etc. Have received many new samples in the past 8 years. I've enjoyed many pots and cups of herbals and teas with friends at my table over the years. I still love the blends and the wonderful service I get from this store. Love their website, products and giftware. I have even wildcrafted a lot of herbs for teas and add some ingredients (ie: diff types of teas) with my wild ones. It is a real experience to shop here and I will continue to do so.. Thank tou all. I am going to enjoy my free samples very much. Thank you for your great service. This was my first order from The Tea Haus and I'm super impressed. Cost wise it's significantly better than it's mainstream competitors, it shipped quickly, is packaged well, and from the first tea (Lime Fizz) the flavours are on point. I'm excited to try more once I get at least part of the way through these ones! I have never left a review for any company, but I'm making an exception for the Tea Hause. I've been a customer for two years, using the web sight to obtain my tea. The last order I received had a small mistake, so I emailed the company. I had a responce in under two hours with an apology and promise to correct the fault. They expedited a new order the next day with a bonus gift. But, the truly amazing part is a staff member showed up at my house (I live 2 hours from London) before my parcel arrived, with additional tea. They said they happen to be driving up to this part of the country and decided to drop off the package. Amazing. The personal service they provide is beyond comparison! I'm a customer for life. 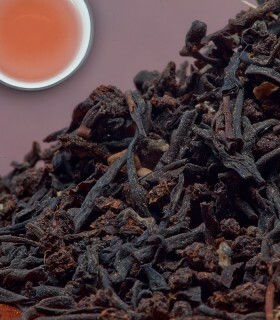 Ive ordered from Teahaus several times now and ive always had a great experience. They not only send me premium product but they have also given me some interesting samples. I make alot of celebrity photo requests with my orderd and they have always fullfilled them. Perfect! We recieved a sample of French Earl Grey with our order, Mary and I both thought the lavender over shadowed the bergamot a little but enjoyed it none the less. The staff is very knowledgable and super friendly. I have a mild caffeine sensitivity so quality product is important to me. I love the "Friday $5 specials" It has made me try out teas I normally wouldnt have tried and now love. I like to pick up a few every week and have started bringing them as gifts when visiting people- have always had positive feedback(not everyone drinks wine)! The quality is always on point and ordering on line for pick up is a breeze! I love these guys so much. They have hands down the best tea, amazing custom service, and super fast shipping! i have been ordereding from the Tea Haus for the past year. The service is super fast. It is always nice to receive the personalized written note and the sample they send. The teas are great! They beat out the competition in price and quality. I am always excited to get my order as we go through a lot that now I am ordering my favorites ( Mint and Good night Irene ) by the 200 grams bags. Always fresh, always satisfactory . Love that they come out with new tea blends as I enjoy variety. I have been recommending the tea haus website to my work colleaques for quite sometime now. I can not say enough good things about the service, quality and speed of service. Keep up the great work!! I decided to try loose leaf tea years ago so then I decided to try the Tea Haus, needless to say I am a devoted customer. I always have Darjeeling Mim, Gold Dragon Jasmine and a white tea in stock. Re-ordering and Post Office delivery always two days away so I don't go into withdrawal. I get a kick out of the "personal" little notes they send along with the sample. I am in for keeps. Thanks for great service and selection. After purchasing several teas in-store several years ago, we have continued to order a good selection of teas online. They all disappear quickly but when we have to re-order the service is exceptional. Little samples are appreciated - the Jin Jun Mei does remind me of visiting Wuyi many years ago. So the length of the order will grow! it is a pleasure dealing with the Tea Haus. I have experienced prompt service, and the Earl Grey Supreme tea that I order in large quantities is the best I have ever tasted. I enjoy introducing my friends to this wonderful tea. I also enjoy the sample that is included in my order. They offer good quality products at a good price, and have amazing customer service. They have always answered my questions, and have been helpful and friendly. My wife and I are highly impressed with the speed of your service and that you notified us throughout the ordering process which is dead simple. The tea is excellent quality and priced fairly, which are the reasons we re-ordered more tea from you. Thanks for the sample tea you sent we'll likely be ordering that tea as well. Great selection of high quality Teas, and amazing service! Tea Haus is now my go-to Tea shop! Really appreciate the personal note and free sample they include with every order. I've been ordering the Constant Comet Green (aka Christmas tea) for years now. It is by far my favourite tea! When I call my order in, the lovely person on the other end often seems recognizes my name and is always very friendly and personable. I also order online which is equally efficient, although not quite as fun! The package comes quickly to my home in Halifax, with lovely samples to try and a friendly note to boot! This is a fantastic business. I hope I can visit in person again sometime soon! Thank you. Just got my first order from Tea Haus. Very impessed with the quality of the tea and fast delivery. Thank you also for the sample. Will order again soon. I have shopped here since it opened . The quality is always excellent and there is a lot of selection. I enjoy having a cup of tea whenever I go to the market . I also order online and the delivery is excellent. We are truly fortunate to have this store in our City. For decades we've driven up to London from Indiana to buy our beloved banana tea. Sure we've frequently ordered banana and many other teas online but Micheal and Stefanie our such great folks, we think a five hour is worth it. I stepped into this shop on a whim while visiting with my nephew in London. I’m a big fan of London Fog tea and the knowledgeable associate recommended Duke of Earl. As soon as I got home I made myself a London Fog with this tea and it was amazing! So glad to see they have an online store because I’m not sure when I’ll get back to London. I will definitely be ordering from this company. High quality tea. So glad to find teas that include green rooibos. Most of the blends I have tried I would buy again. They are nicely balanced in flavour. I'm enjoying the free "Christmas Rooibos" sample. Thanks!! Many thanks once again for the fast and efficient delivery of my tea order. Ordering on-line is easy and the tea arrives quickly with a nice personal note. I am grateful! Wow factor- high quality, speedy delivery, and customer appreciation. This was my first time ordering and I was impressed with the quality of the tea. It smells amazing, can't wait to brew my first cup. It arrived super fast. The hand written Thank you note and free sample were such a surprise. The Tea Haus really appreciates its customers (rare in this day and age). I would not hesitate to recommend The Tea Haus to my family and friends. I am a longtime customer who rarely gets to visit the store but I continue to be amazed at how quickly my tea is shipped and the fun samples that arrive with my order and push me to try new teas and flavours. Just today, I placed an order for a new tea that whose sample was sent with my oh, so amazing and exciting advent calendar order! Tea Haus service and products rock! I have sent many people to the Tea Haus as no other retailer can compare. teadrinker_dee approves! The Tea Haus has the best authentic tea, great combinations for flavoured teas, and even better prices. I work at another tea location, but I still find myself coming here as nothing else compares! :$ I love it! Don't change! I have been ordering online for a couple of years now and so far I have only the best to say about the quality of the teas, service and delivery! I live in Trois Rivières, Quebec and there are no tea shops except David’s Tea and I did try several tea blends from them too but they cannot compare to Tea Haus! Fantastic guys! Keep up the good work! I was introduced to the Tea Haus a few years ago and picked up a few teas while there, the lime fizz was my favourite and didn’t last long. I have tried some others but was never happy. I live a few hours away and haven’t been able to get back so I placed an order online and a few days later had my selections in hand with a personalized note. The quality and variety are unmatched. Great service and prices. I will be ordering again! Hands down my favourite place to buy tea. The quality and selection are amazing, the owners and employees are super friendly and knowledgeable, and the prices are very reasonable. I usually just go into the store when I'm in town but ordered online for the first time this week; I placed the order yesterday morning and it had arrived by the time I got home from work today. I placed my first order on Friday. Monday morning it arrived on my door step! Very fast! Looking forward to steeping my new teas. Easy to order, fast delivery and exactly the Russian Earl Grey that my wife wanted. Love, love, love teahaus products. No other tea compares. Have tried other brands but nothing else comes close. Have been ordering online from the Tea Haus for a couple of years now and I've never been disappointed. Quality tea, fast delivery, and super nice people to deal with. Your tea is amazing! It is so fresh and no artificial flavours. Great prices, huge selection and fast shipping. I will definitely be a lifelong customer! Thank you Tea Haus! Just completed my second order I found them online last year after getting a little tired of the same selections at some of the bigger places that haunt the malls of Canada. I've been very impressed with the tea I believe I will be a long time customer. I have been ordering from The Tea Haus for over 2 years now. I always get my order within 2-3 days. The prices are great and I get free delivery and free samples of tea. The tea is always fresh and the quality is very consistent. I love this company and would highly recommend to anyone! I have been buying from The Tea Haus for several years and I love it. So convenient to just order online. Delivery is always very quick. The tea is fresh and tasty. I like the free samples so that I can expand my tea horizon. Long term customer, who is always very satisfied! Great tea, great website, and timely delivery, with a personal touch and attention to detail. Love the resealable bags which keep the tea very fresh! Hi Josh, thank you for sharing your experience! Also: they partner with Le Petit Paris for an amazing afternoon tea. It's very cute and portions are very fair. I've ordered online twice now, and am so impressed! Product quality is very high, huge variety of teas, customer service is great, generous portions and the best prices... really can't ask for more!